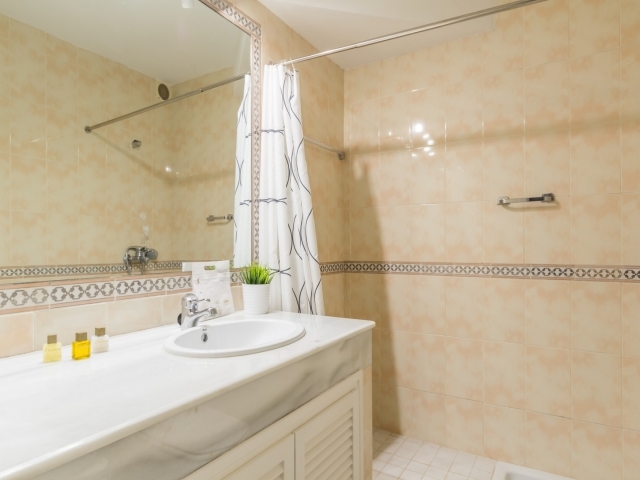 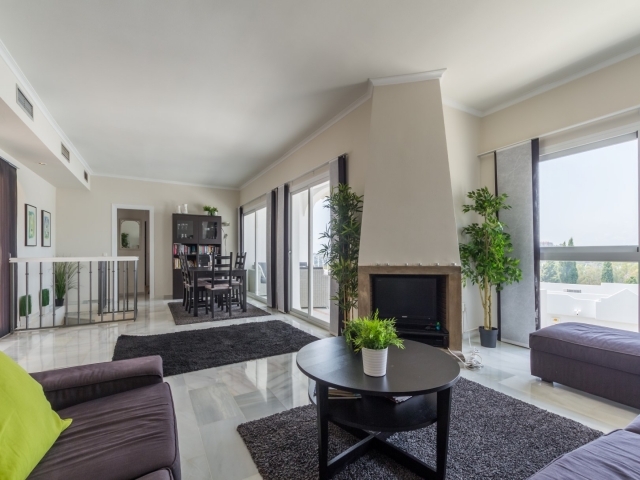 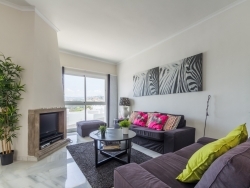 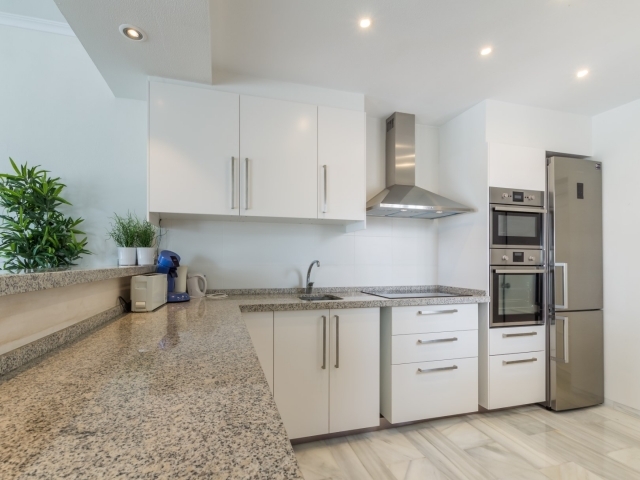 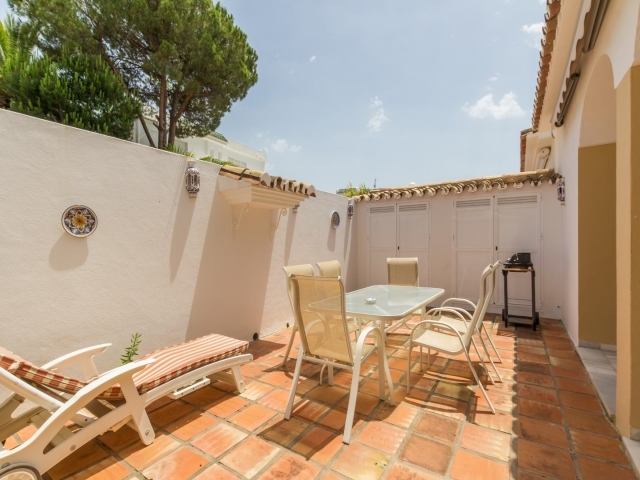 West-facing recently, partially-renovated 3 bedroom duplex apartment in Los Jarales. 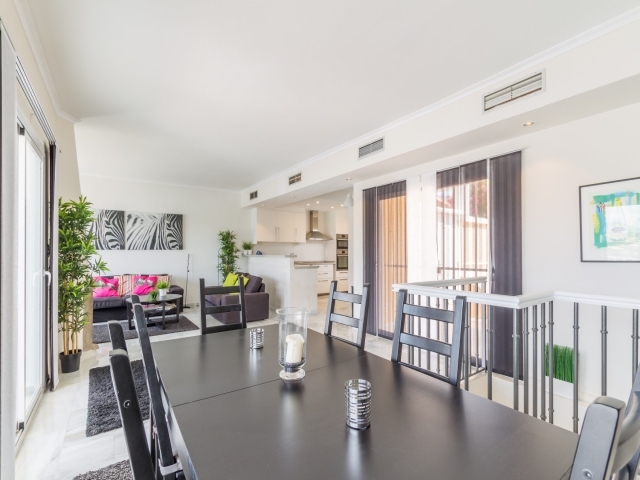 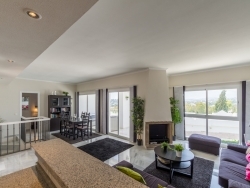 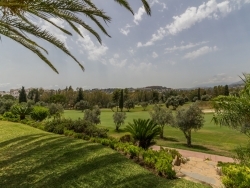 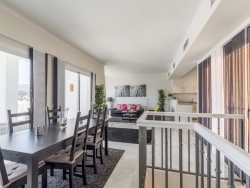 Offering morning and afternoon sun, this apartment is ideal for families and golfers. 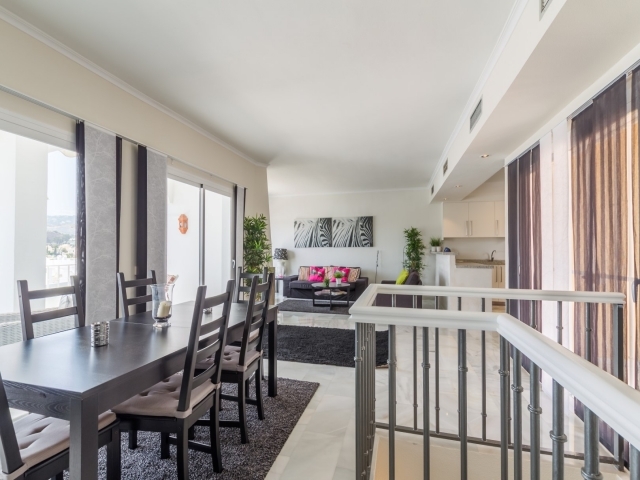 Layout: The kitchen is to the right, with the living and dining area straight ahead with access to the west-facing terrace. 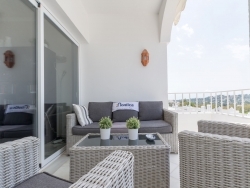 The apartment also offers an east-facing terrace with BBQ, a dining area for 6 persons, and 2 sunbeds. 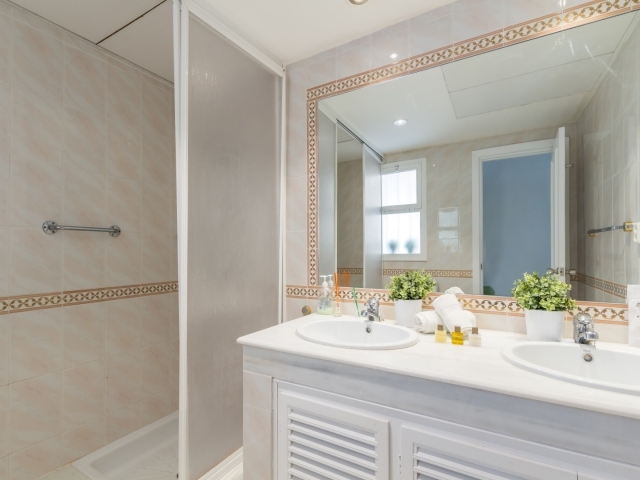 Master bedroom with double bed and ensuite bathroom. Downstairs offers a bedroom with twin beds and an ensuite bathroom. 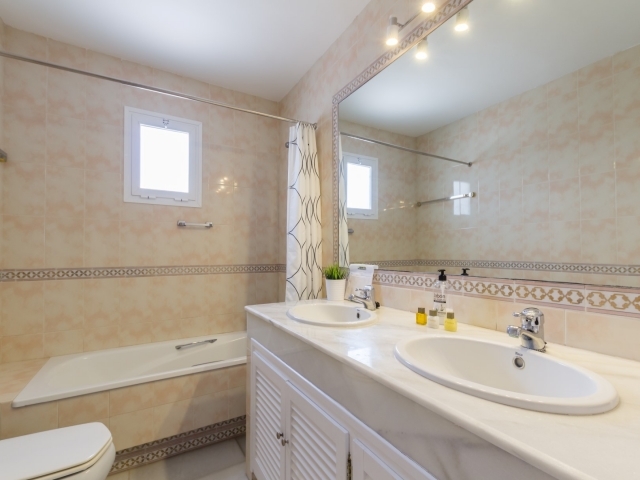 The third bedroom has a double bed and an ensuite bathroom.